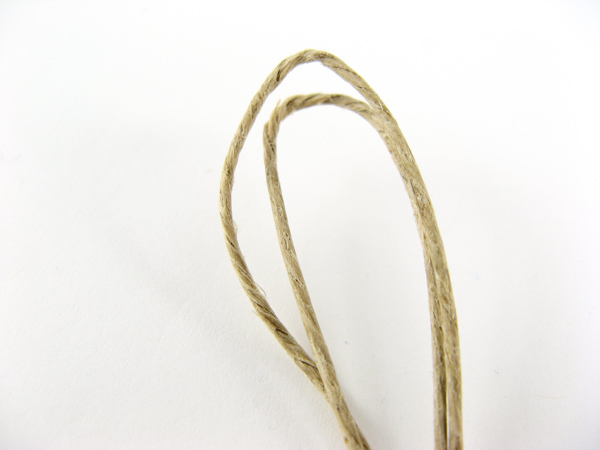 To make a hemp overhand knot cut two pieces of 1mm natural hemp jewelry cord. 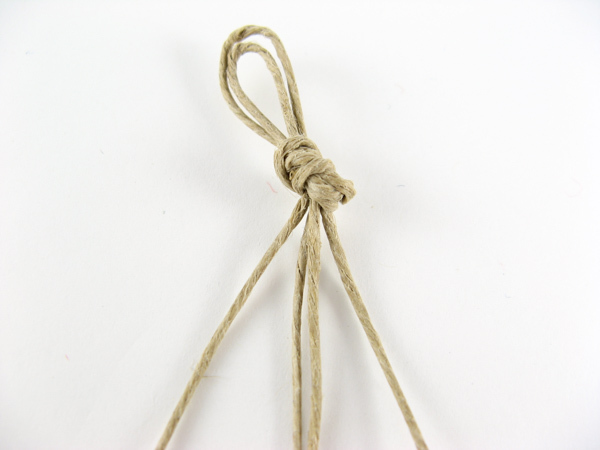 Step 1: Find the center of your cords and fold them in half. 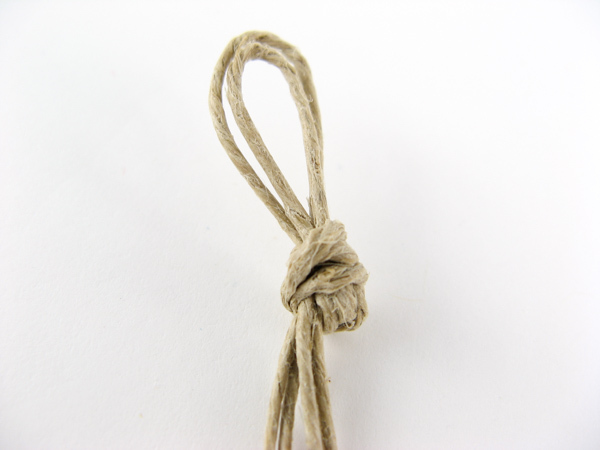 Step 2: Tie an overhand knot as shown. Step 3: Leave a half-inch loop just large enough for your pony bead or finishing knot to go through. 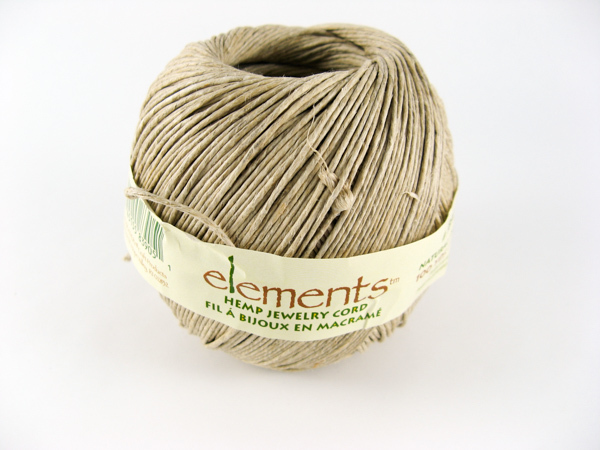 Now you have the basic starting point for the hemp jewelry projects I will be showing you. The two inside cords are the base strands. The two outside cords are the knotting cords. 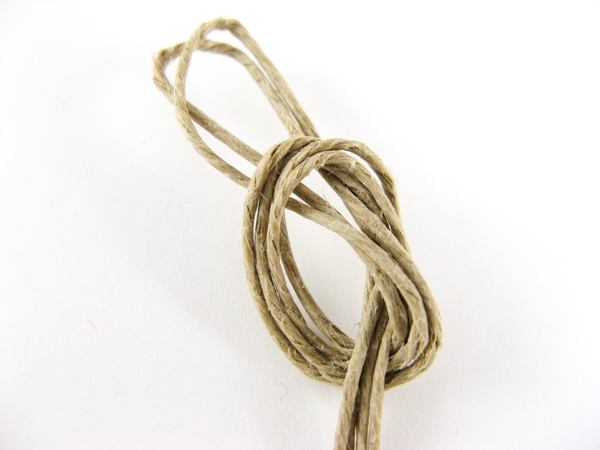 Start by learning the half knot spiral bracelet then move onto the square knot hemp bracelet.